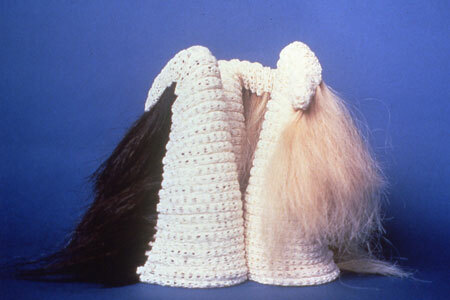 Passle is a visually impaired artist who graduated with a MFA in Weaving and Textiles from Edinboro University. She exhibited in countless exhibitions all over the country and in many international exhibitions, from Germany to Singapore, Sweden, Australia and China. She has taught at the Neighborhood Art House, has been an adjunct at Mercyhurst College and Gannon University and was the Artist in Residence at the Cathedral Center, Erie, PA.
She received two Mid Atlantic Artist Residences through the Mid Atlantic Arts Foundation at the Keystone Blind Association, Sharon, PA in May-August 2003-2004. 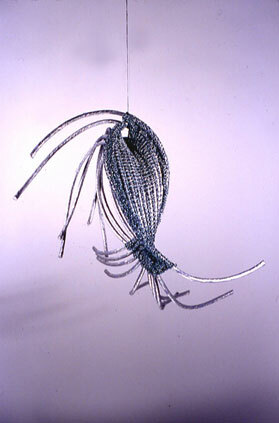 In 2005 she received a Kellogg’s Foundation Artist Residency in Battle Creek, MI. She received three Pennsylvania Partner in the Arts Grant for the Neighborhood Art House in Erie, PA 2005, 2006 and 2008. She received the Distinguished Alumni Award in the Art from Edinboro University in 2005. Her work has been published many times.